A small business legal clinic will work with entrepreneurs for free on March 27. 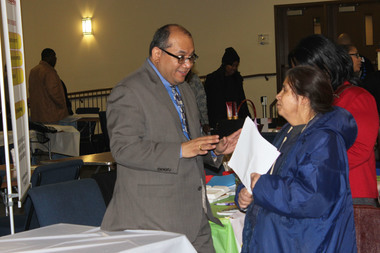 ENGLEWOOD — For those eager to turn their vision of starting a small business into the real thing, attending a free legal clinic on March 27 is a must, organizers say. The clinic will be presented by the nonprofit Law Project and cosponsored by the Chatham Business Association and the Greater Englewood Community Development Corporation from noon-3 p.m. March 27 on the 4th Floor of the U.S. Bank Building, 815 W. 63rd St. The free small business legal clinic will be split into two sessions: "C Corp, S Corp or LLC — Which One Is Best For My Business?" and "Commercial Leasing Considerations For Owners and Renters." An optional session from 1-3 p.m. will provide entrepreneurs a one-on-one consultation with an attorney. To attend, RSVP no later than March 26 by emailing your name, email address, phone number, business name and a short summary of your legal questions to tlp@thelawproject.org. You can also call 312-939-3638 Ext. 224.